Beckett and the Modern Novel. 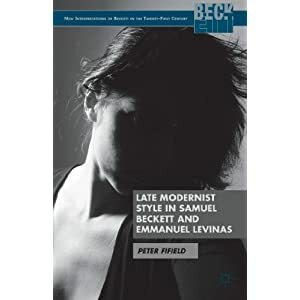 Late Modernist Style in Samuel Beckett and Emmanuel Levinas. New York: Palgrave MacMillan, 2013. Fifield, Peter, and David Addyman (eds.). Samuel Beckett: Debts and Legacies: New Critical Essays (Plays and Playwrights). Beckett, Deleuze and the Televisual Event.